Josh coming through the pits at Vegas to Reno, August 2012. You are a seasoned cross country guy with multiple titles and last year you ventured back to desert racing with Can-Am, coming out with another title despite some unfortunate luck during the year. When you hit trouble, what keeps you motivated to push forward? Obviously it really paid off this time. It was great to be able to get back into the desert again. Luck, bad or good, is a huge part of it. We had our share of problems for sure but so does everyone. You have to keep yourself and your team positive and keep moving forward. 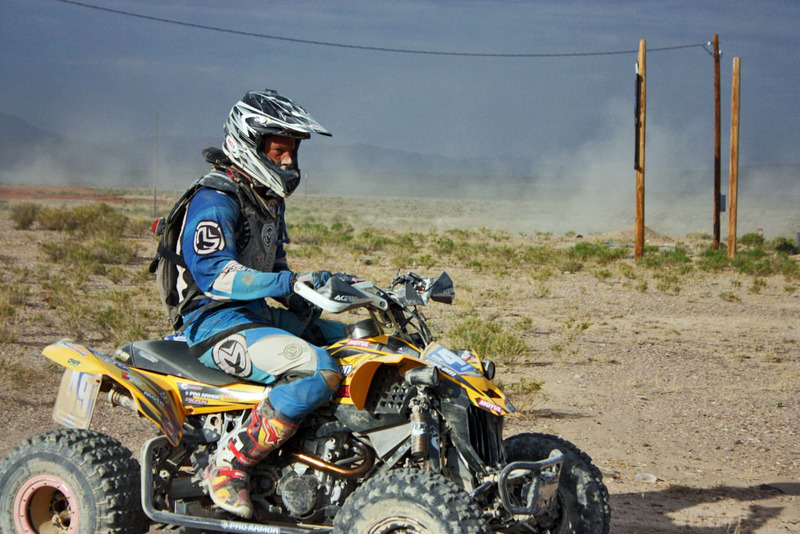 Desert racing is not generally about who is the fastest or who has the best quad. It is mostly about who can deal with the problems and challenges and overcome them. The desert does not care who you are or what you have accomplished in the past and it will humble you. I just tried to surround myself with good people to help me stay positive through all things. After narrowly missing the title for WORCS last year, what did you do in the off-season to prepare for this year and what changes have you made to ensure you are on top of the box come race day? 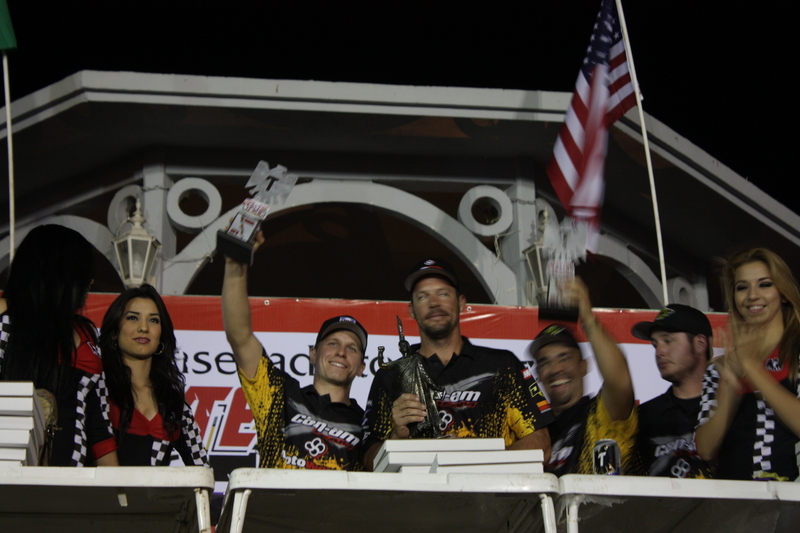 Josh Frederick with his team on the podium in La Paz for the Baja 1000. Honestly this off-season was way different than any other. I wasn’t even sure I would be racing an ATV. Can-am has put their budget into SxS racing and they want results. So we mostly switched directions. 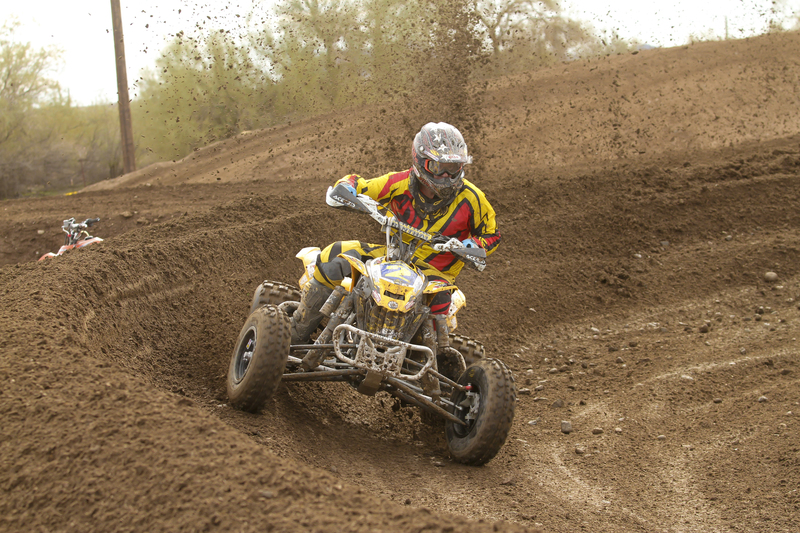 When the opportunity came to still race the ATV also, I took it. So I didn’t prepare as much as I have in the past but I feel good and I will go give it my best. You’ve raced all over the world, and have had a long history racing here in the U.S. What has been your favorite event and what made it stand out for you? Every race is special in its own way, but winning the Baja 1000 last year has got to be the best so far. It was so emotional for so many reasons. There was a lot going on personally and within the team and we almost didn’t even race. Everyone really came together and to win on top of all that was amazing. How would you describe the Pro competition in the last few years in WORCS? You have been racing it for nearly 10 years now and have seen a lot of ups and downs in the series. The numbers are down for sure and that is a bummer. But the competition the last few years has definitely gone up. It used to be 1 or 2 guys could win and just to finish the race was good. Now its 5 or 6 guys can win on any weekend. The whole race is a sprint, the quads are better, and everyone is in great shape. What kind of plans do you have for the 2013 season? Will you be defending your title in Mexico? Are you adding any other racing to your schedule this year or are you just focused on WORCS and reclaiming the title? Right now the plans are WORCS ATV and SxS. I would love to be able to defend the title in Mexico, but it looks like now I will be driving the SxS in Baja and hopefully the remainder in the BITD series.